Most of us bundled up to go skiing or stayed inside with a cozy fire over this holiday break, but Dixon’s Latinos in Action students braved the chilly weather to do something more important: help those in need. 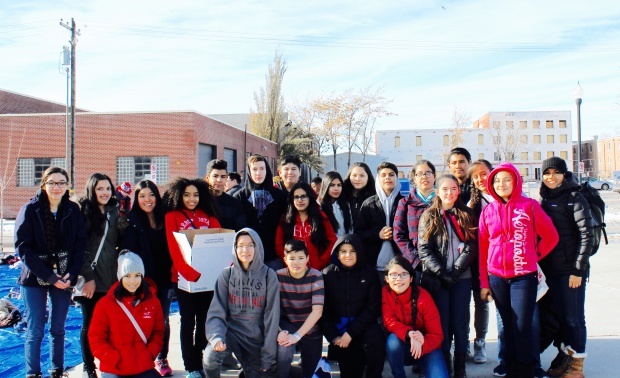 For four years, Ms. Ordaz has lead her service group to the annual “Clothe and Feed the Homeless” event in Salt Lake City. 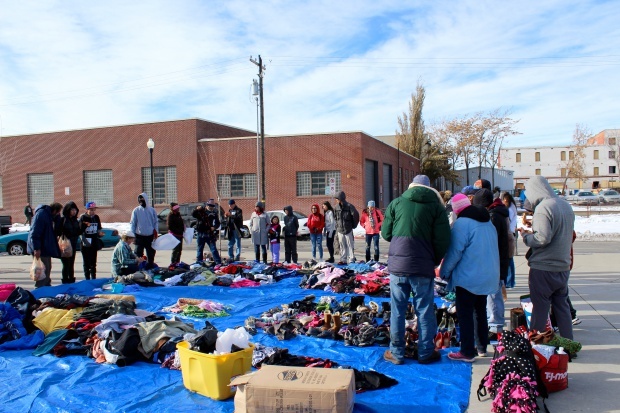 The first year of the event she organized it herself, and since then has partnered with a church called Living Waters to provide extra clothes and food to the homeless community. During the weeks of December, the Latinos in Action students collected used or donated clothes, hats, coats, and shoes from the students and community here at Dixon. On December 19th the group gathered bright and early to catch the Frontrunner and set up the items on blankets so those in need could search through and find any items they could use. 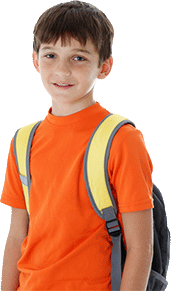 They also provided bags so things could be carried more effectively. After everything was arranged, they set to work helping the homeless people find and pick out clothing that fit. Some students had amazing one-on-one conversations with some of the people that attended, opening their awareness to people that so often go unheard in our society, and to their plights that landed them where they are. One student wrote about her experiences, sharing a conversation she had with a woman named Barbara. “She told us about… how everything got taken away from her and how she had no money and couldn’t work due to a medical issue. She kept reminding us to stay at school, that she wants us to have careers and… a family, to end up somewhere great and not on the streets.” Many students cried with their new friends as they listened to their stories and advice, and after they hugged each other goodbye they left with a newfound respect for the hardships these people face in their daily lives. We are so proud of our Latinos in Action group here at Dixon for all of their selfless service!